Moving to Finchley, N2 | High Quality Services - Call Us Today! We at Moving Service understand that leaving your valuable possessions in the hands of others can be a difficult decision. However, we are a removals company in Finchley, N2 that has been helping people move into the area for many years, so you can rest assured that your belongings are safe with us. During house removal it is essential that you start planning early, to stop your workload from piling up as moving day approaches. In order to avoid leaving everything for the last minute, give us a call today on 020 8746 4402 and one of our friendly customer service representatives will talk you through our range of services from our transport options, to packing and man with van hire. So, if a helping hand is what you need, look no further than our removals company in Finchley. We know what you are experiencing and we aim to alleviate the stress factor that comes with the daunting prospect of moving to a new area. We will help you along every step of the way and offer you our services that are tailored to meet your every need. The area falls under the London Borough of Barnet. It is situated in North London and its postcode districts are N2, N3 and N12. It is a residential suburb that lies about 11km north of Charing Cross. It is well served by a number of tube stations, such as East Finchley, West Finchley, Finchley Central and Woodside Park tube stations, all of which can get you to Charing Cross in about 25 minutes. The area boasts some iconic London landmarks, such as the beautiful St Mary’s parish church which is steeped in historical significance and which dates back to the 13th century. Surrounding the church there used to be lots of farmland, and you are still able to visit one of the last functioning farms from that generation. College farm was a dairy farm and is now a highly popular visitor attraction. If you fancy watching a movie, then you should make a point of visiting the independent Phoenix Cinema in East Finchley. The Phoenix is one of the oldest purposely built cinemas in the UK and shows many art house films. We are a well reputed company that you can rely upon to deliver you with a high quality services. 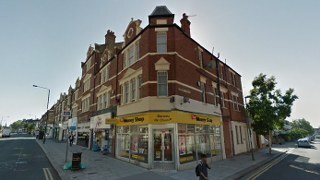 So, if you’re moving to Finchley, N2 then look no further than Moving Service. Our removals services include transport to and from the destination of your choice. You can use our man and van services or one of our fully equipped van or lorries that have lifts and ramps for larger removals projects. Alternatively, if you wish to take care of the transport element yourself, you can hire our vans and lorries, so that you can drive to the area along with all your possessions. If you’re short of time or can’t handle the packing aspect of your move in N3 area, we have a friendly and hard - working team of packers and handlers who can package up your belonging in no time. When it comes to moving day, if there’s still work to be done in your new house, then why not consider putting your items into storage to create a bit of extra space and prevent your furniture from getting ruined by paints and spillages? Whatever you need, we have the answer, so get on the phone now and call us on 020 8746 4402 for some expert advice and a free quote.